Beautifully written Young Adult romance about two teens who don’t fit in and are bullied as a result of their differences. Eleanor has startling red hair and all the wrong clothes. She has no money to buy anything better. Her parents are divorced and her mom is involved with a brute of a man who’s a threat to everyone. Her father doesn’t care. Park is half Korean, small for his age, but handsome. He has the perfect family except he doesn’t think he’s living up to his father’s expectations. 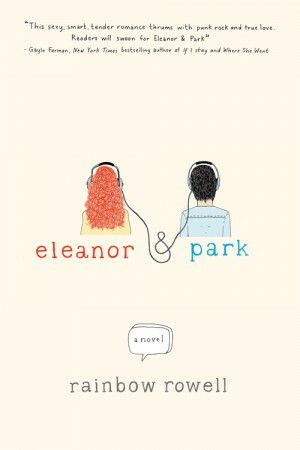 Eleanor and Park manage to find each other despite the horror of her home life and his feelings of inadequacy. The question is, can they hang on to this intense first love or will outside influences sabotage their relationship? Thanks so much. Very kind to say.